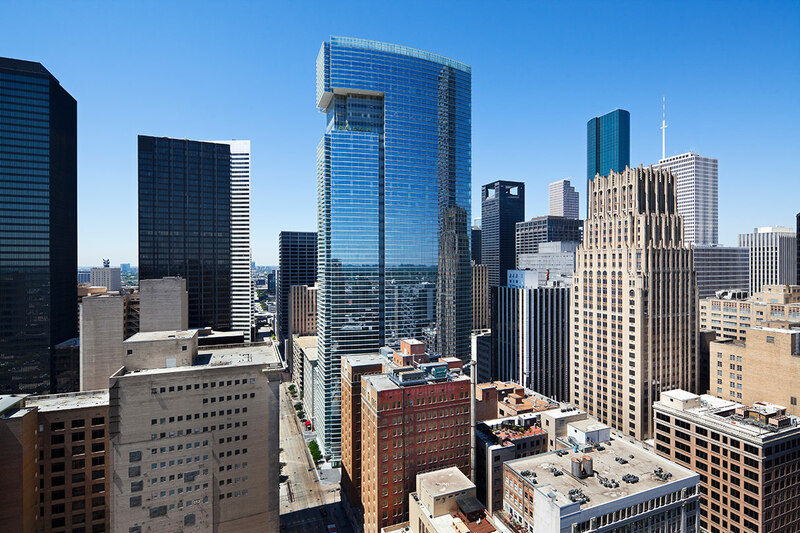 BG Group Place has enlivened Houston’s historic Main Street aesthetically and demographically. 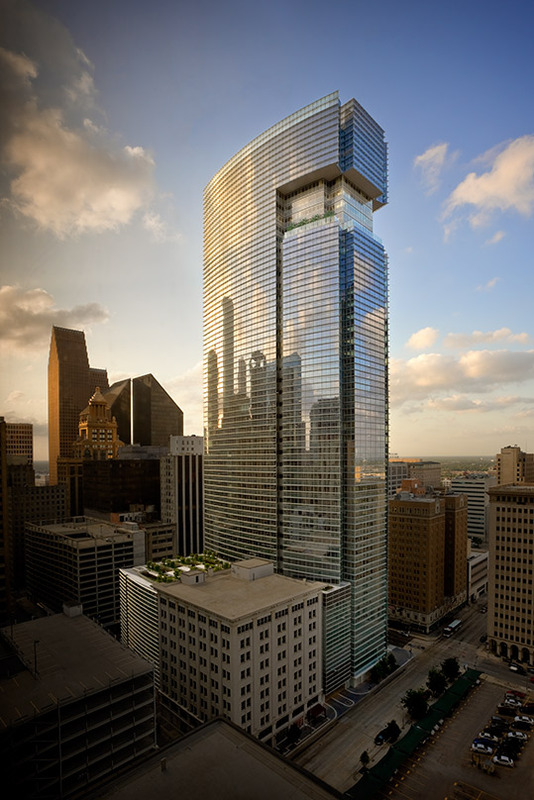 While the building’s surface reflects Houston’s glittering downtown, its upper floors serve as the headquarters for BG Group, a British natural gas firm. 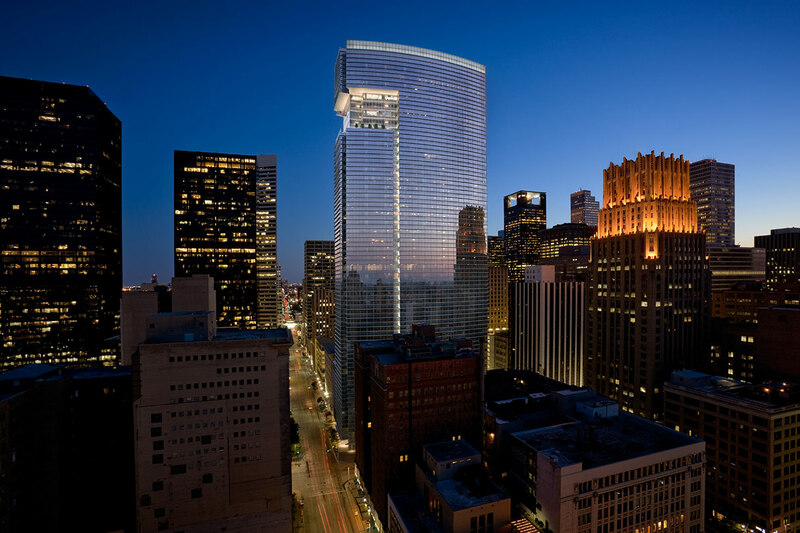 The ten-story podium of stores and restaurants contribute to street-level vibrancy. 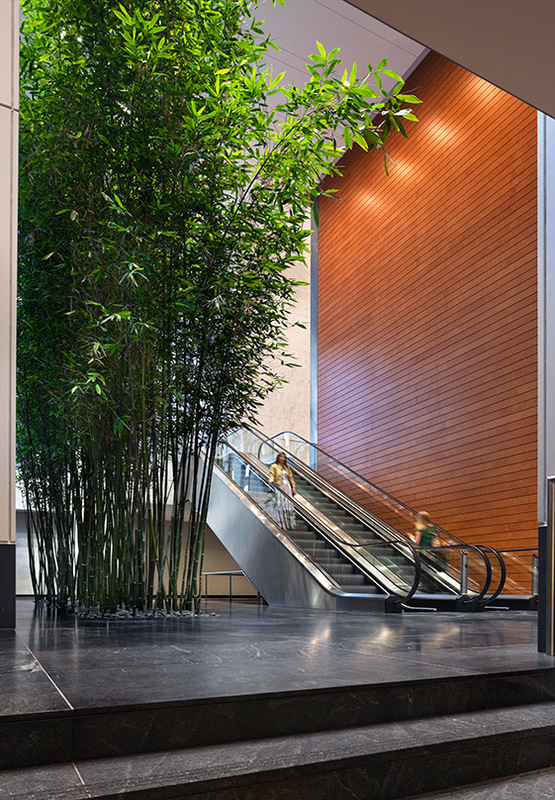 A sky-garden at the 39th floor surrounds a five-story atrium that glows in the night skyline. 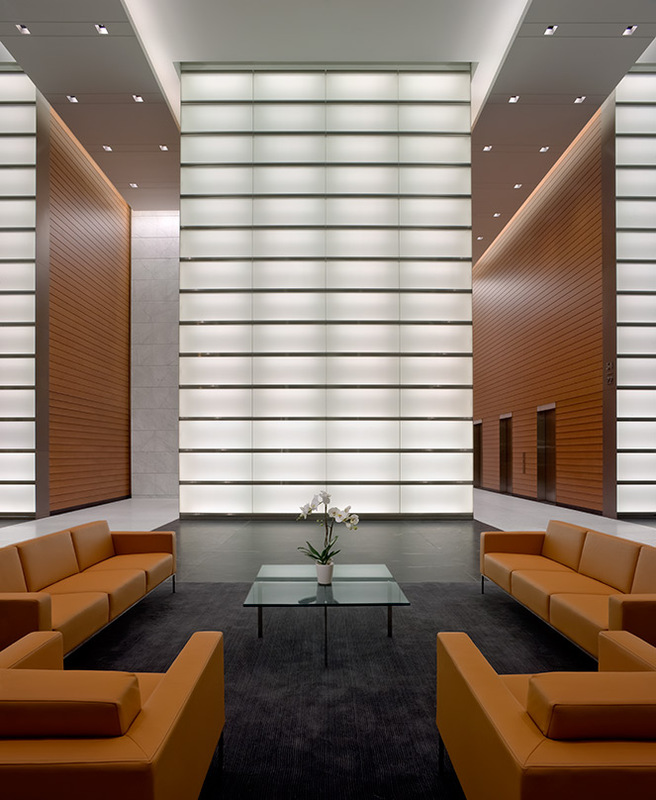 Certain distinctive elements of the design originate in the Texas climate. 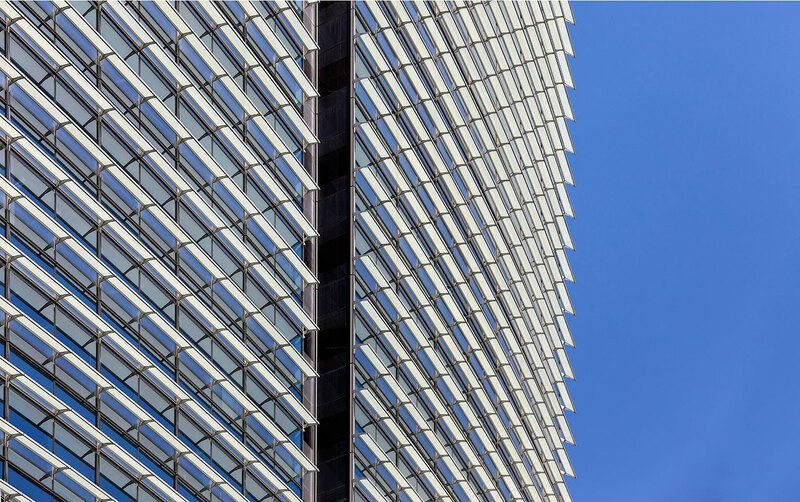 Horizontal sunshades of glass and aluminum sweep around the building’s curved north and south facades, protecting tenants from the Texas sun while allowing daylight in the tower as well as expansive views out. 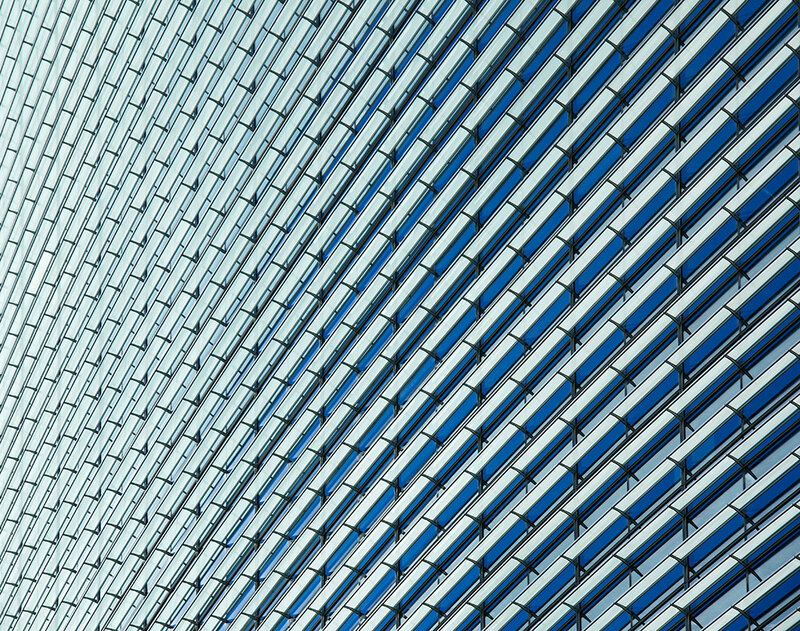 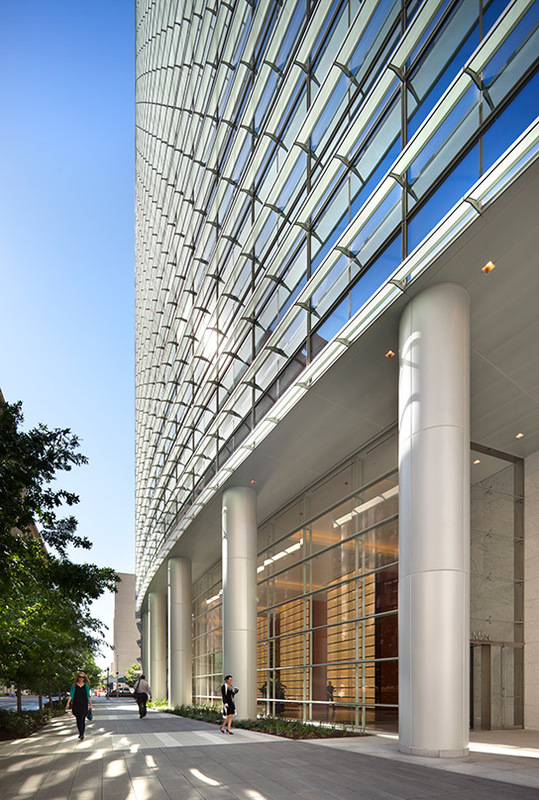 Vertical glass fins shade the west façade from the low evening sunlight. 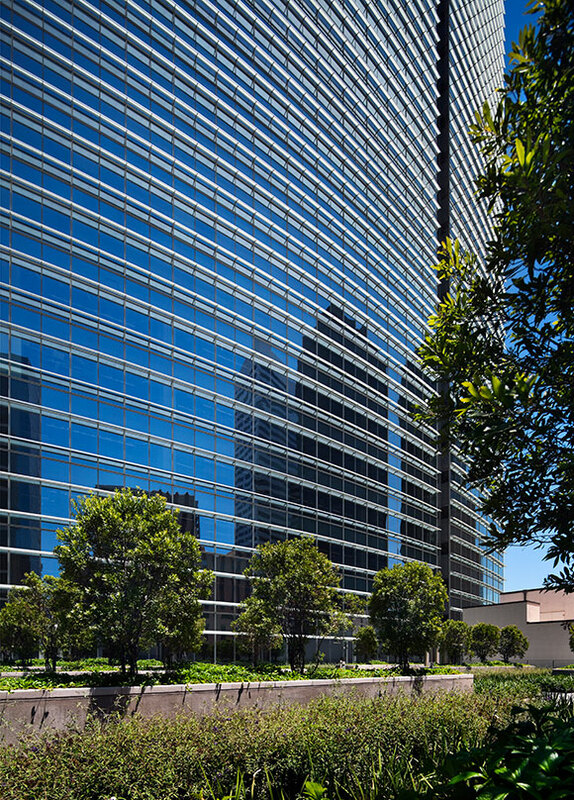 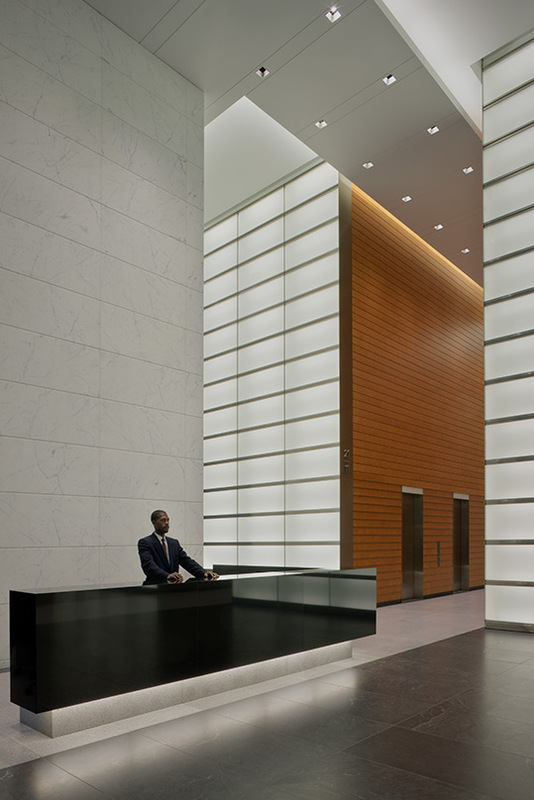 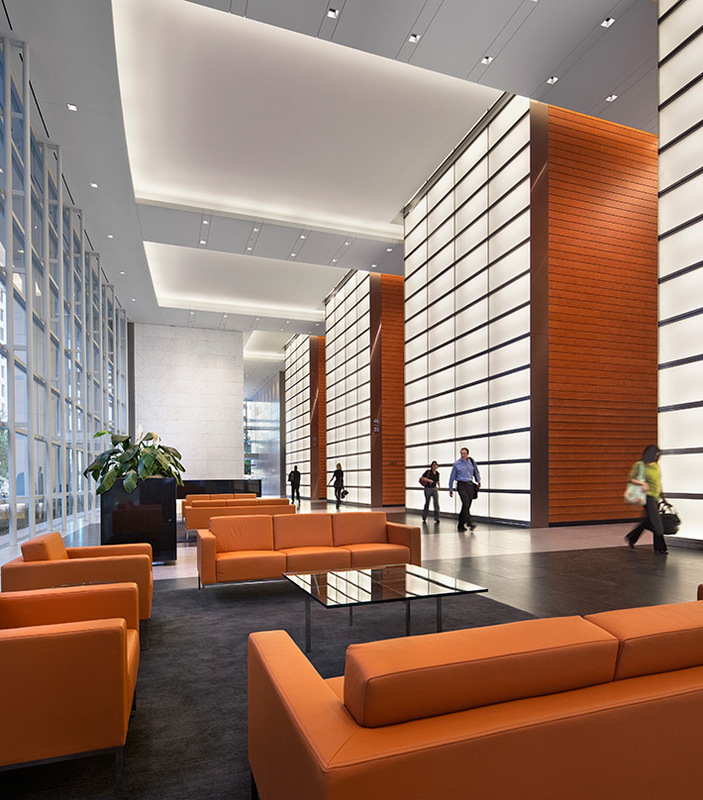 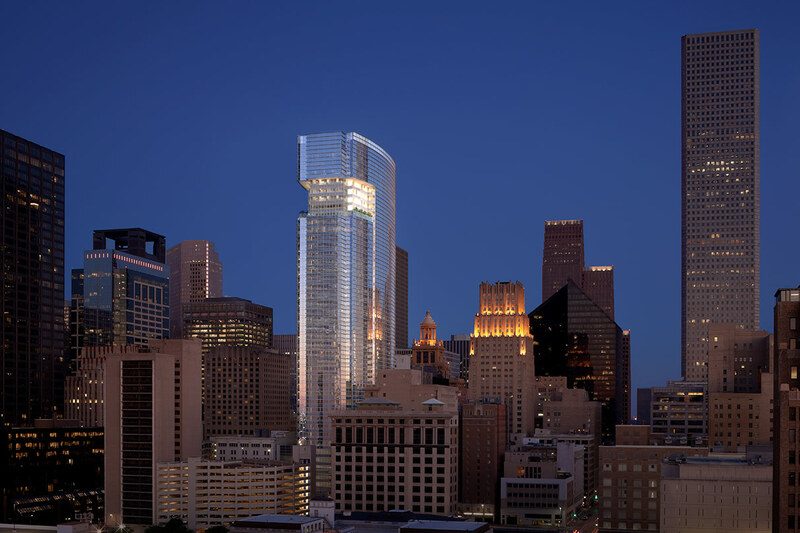 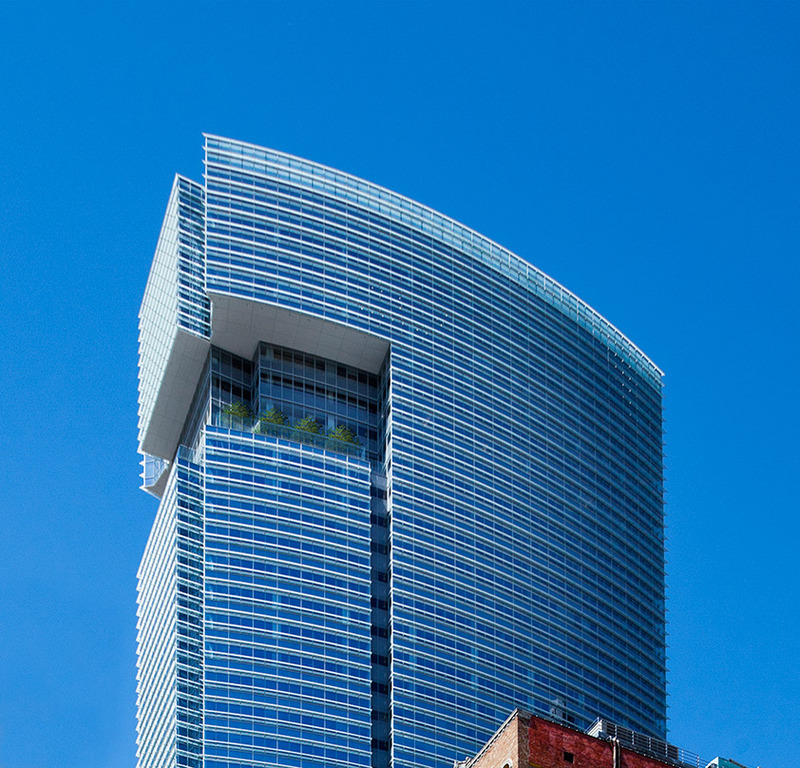 These cooling features helped BG Group Place be the first LEED-CS Platinum-certified skyscraper in Texas, adding innovative sustainability to the building’s contributions to the city.